Lines and edges, and more lines and edges. 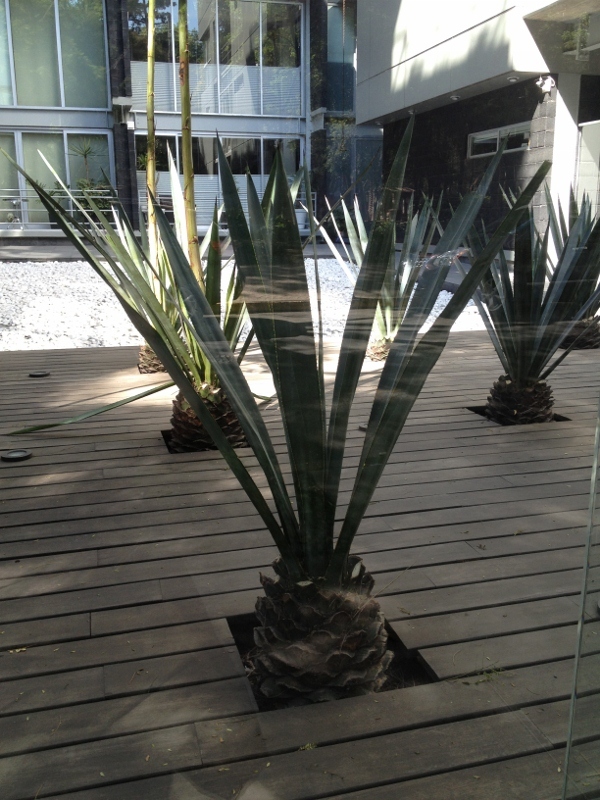 Mexico City’s dry landscape and reliance on water conserving plants like agaves and cacti present a sleek, minimalist vibe by default. 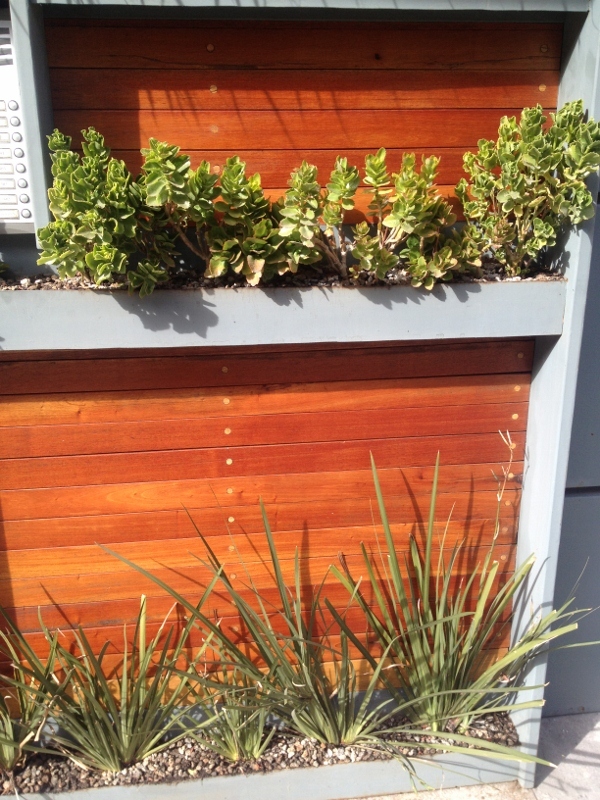 These agaves popping out of holes cut into a deck create a miniature desert forest in the middle of an apartment complex. Much more dynamic than just a wooden platform! 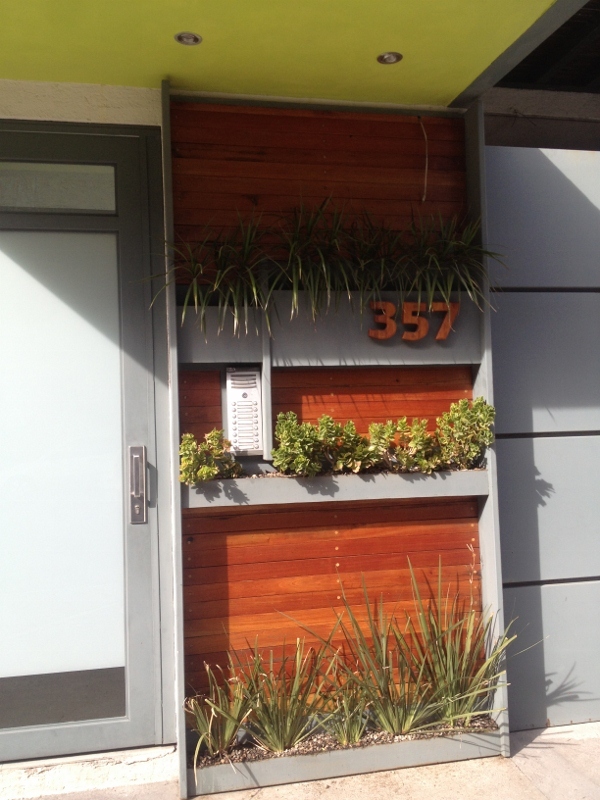 The addition of bright wood to this grey and chartreuse building lends an organic touch, softening the lines. The three tiers of different plants showcase the varying forms and shapes of each species. When designing, it’s easy to want to mix plants together – one here, another there, and still another in between – for variation. But we often forget what this image shows, that using one species at a time creates a solid, powerful statement.